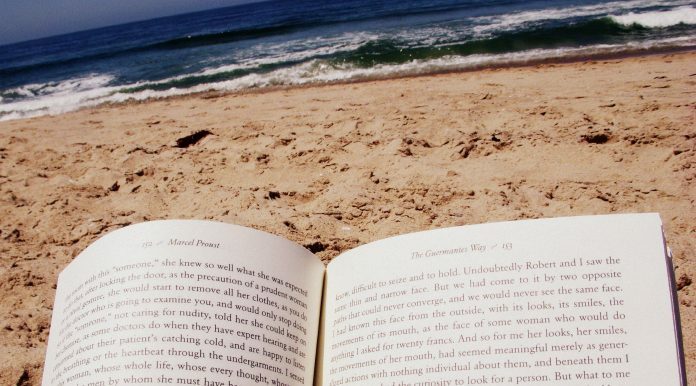 Thea reviews the five best reads to keep you busy this summer. University is officially over, so it is time to stretch out on the beach for a languid and restful summer holiday. When you’re not busy watching the newest season of Game of Thrones, trying to come up with newer and crazier theories, you might be tempted to give yourself over to not-thinking. But to keep at bay the possibility of returning to classes in October bewildered and illiterate, here are some books that might keep you reading, without stressing you out! This is aimed at a young adult audience, but don’t be fooled! It has a plot twist that will keep you engaged until the very end. The action happens on a private island where a wealthy family vacations each summer. The family squabble over the inheritance of their much-loved mother and grandmother, oblivious to the effect the fighting has on their children. These kids are charming, well-bred cousins who call themselves ‘The Liars’. This book is fast-paced and will leave you feeling dazed. This independently published trilogy is a delight, not only because it is an amazing read, but also because it is cheap! You can get the first book for free online, and the second and third are 99p each – who doesn’t love almost free stuff? Beyond that, this trilogy is the story of a rag tag sports team determined to rise to the top, despite varying obstacles. And believe me, this is the most you will ever care about a fictional sport, that isn’t Quidditch. The dialogue is snappy and you are sure to fall in love with these characters, resting safe in the knowledge that whatever happened in your first year of University is nowhere near as bad. If there is one book you pick up this summer, let it be this one. It is an atmospheric story occurring over the course of a few days in Cannes, full of lavish descriptions and corrupt people trying to be good, interwoven with a gently philosophical look at being human. There are few things better to get you geared up for summer: before you know it, you’ll be shopping the sales for a floor length gown or tuxedo, preparing to smoke on your balcony, gaze into the sunset and imagine you’ve been snubbed for a major film award. Have you read this book yet? Why not? What Belongs to You is an incredible journey that will leave you looking up cheap flights to Bulgaria online, and dreaming of the liquid heat of the Varna summer. It will remind you of the disappointing loves in your life – whether you’ve had them or not – and it pairs wonderfully with the new Lana Del Rey album and a glass of mojito lemonade. You know who Flynn is, if you have access to the internet. The mastermind behind Gone Girl, and one of the most talented authors of the female-centric mystery novel. Sharp Objects is the story of a hot summer in a small town where everyone knows each other and secrets don’t stay secret for long. Nothing complements a day at the beach better than a breathtaking murder mystery, and this is a masterful narrative that will inject action into any lazy day. If you don’t approve of the recommendations on this list, why don’t you hit up your writer friends and ask them to send you their work in progress? That way, you’re sure to have read at least one magnum opus before anyone else gets the chance.